Looking for somewhere to ring in the New Year with the children but don’t fancy staying at home? 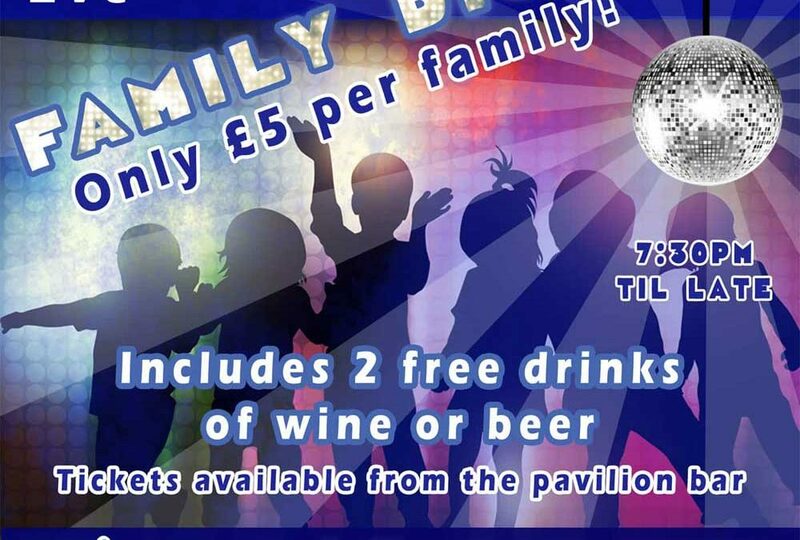 Bring the family (and your dancing feet!) 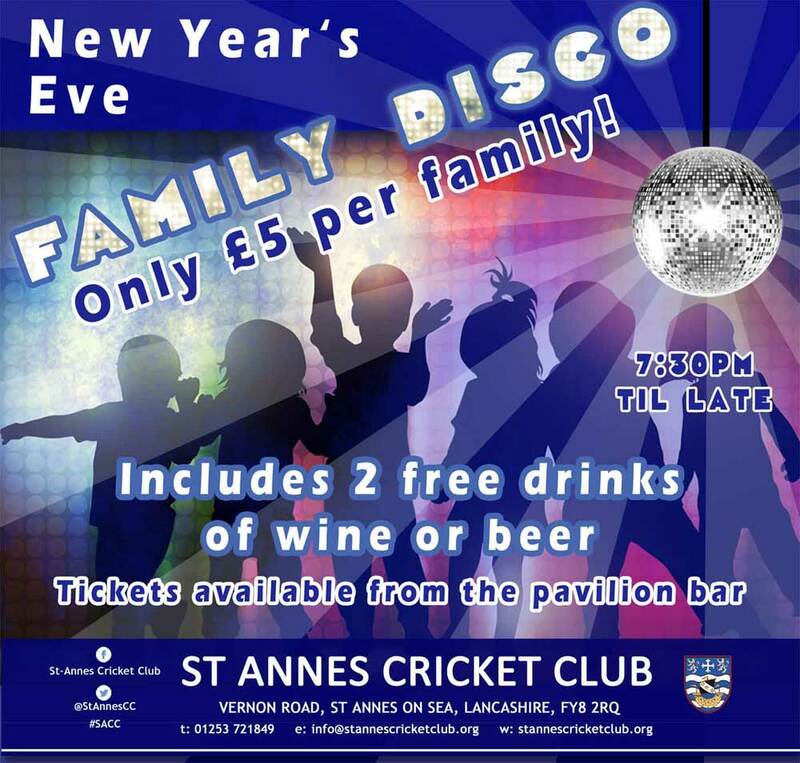 and join in the fun at the St Annes CC New Year’s Eve Family Disco from 7:30pm ‘til late. 2 FREE DRINKS OF WINE OR BEER! DON’T MISS OUT! Tickets are available from the bar staff in the pavilion.